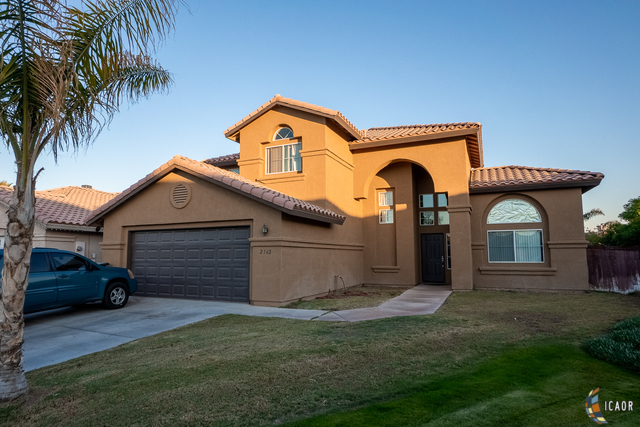 What a great time to make a move into one of Calexico&apos;s most desired areas to live in. This beautiful 4 bedroom 3 bathroom two story Home in the Victoria Place subdivision is gracefully tucked in a cul de sac with very low traffic. Upon entering the home you are greeted by beautiful tall ceilings, a nice formal dining area and attractive diamond style tile flooring. Home features an indoor laundry room with a sink, and a cozy family room with a fireplace perfect for keeping warm while watching your favorite TV show. Home has an amazing backyard with huge potential and is ready for you to build your dream covered patio and the pool you always wanted. Another great thing about this two story Home is there is a bedroom on the first floor perfect for family or guest. No CFD tax on this one! Call today to make this home yours tomorrow.